Find Kennesaw, GA Condos for sale. View Photos, Maps and MLS Data Now! Arlington Pointe - True Ranch Home W/Full In-Law Suite*Soaring 15' Ceilings On Main Level*3 Sided Brick*Newer Roof*High Efficiency Hvac Units Recently Replaced*Fresh Int Paint*New Garage Door*Smaller Established Community*Family Room Has Coffered Ceiling & Brick Fireplace*Kitchen Has Granite Counters, Stainless Appliances, Including Fridge*Rear Screened Porch And Park Like Fenced Backyard W/ Gazebo* Lawn Irrigation System*Terrace Level Has Full Kitchen,Bedroom,Bath,Living Area,Office Space, Walk Out To Flagstone Patio*Well Maintained*Termite Bond In Place*Mature Landscaping With 3 Seasons Of Color* MLS#6541210. Re/Max Unlimited. Detached 2 Car Garage W/Additional Rear Parking. Social Neighborhood, Lots Of Fun! MLS#6541027. Harry Norman Realtors. Lakes Of Stonegate - Great Neighborhood Within Easy Walking Distance To Kenn Battlefield Trails & Meadows. Hvac 2017, Roof 2009. MLS#6540815. Atlanta Communities. Duvall Court - Immaculate 4 Bedroom /2.5 Bath In Kennesaw, Front Porch, 2Sstory Foyer Leads To Dining And Kitchen W/New Granite Counter Top & Island Views To Family Room, Breakfast Area Views To Back Yard, Spacious Master Bedroom W/ Vaulted Ceiling And Walk- In Closet, Additional 3 Bedrooms And 2nd Bath On 2nd Floor, Bright & Open Floor Plan, Enjoy Beautiful Common Area, Close To School And Park, Great Community And Neighbor MLS#6541215. Chapman Hall Professionals. 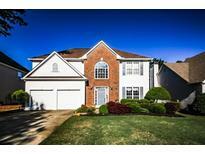 Stilesboro Hills - Close To Shopping, Restaurants, And Entertainment! 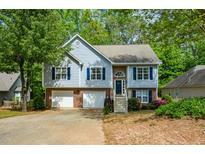 MLS#6540538. Atlanta Communities. English Oaks - Kitchen Has Stainless Steel Appliances. New Hvac. Tankless Water Heater. MLS#6540677. Bhgre Metro Brokers. Blue Springs Station - No Kids No Pets Ever!! Level Yard And Drive! 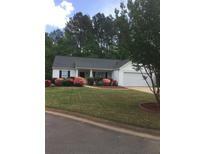 MLS#6540830. Atlanta Communities. Stone And Brick Front, Granite, Wood Flooring. Fenced Backyard With Playnation Playground. MLS#6540419. Coldwell Banker Residential Brokerage. Large Fenced Back Yard With Deck For Entertaining. MLS#6540168. Atlanta Communities. Beautifully Kept House As It Was Built , Kitchen Has A New Back Splash And Beautiful Lights Under The Cabinets, The House Closer The Walking Trail And Beautiful Whispering Lake View From The Master Bedroom, Master Bath Offers Double Vanity, Garden Tub/Separate Shower, Large Walk In Closet. MLS#6532622. Chapman Hall Realty. Cambridge Grove - 2 Additional Bedrooms W/Shared Bath And Laundry Up. Large Fenced Yard. MLS#6539958. Drake Realty Of Georgia Atlanta. Marietta Country Club - Stunning Custom Built All Brick With Limestone Estate Home W/New Roof/Beautiful Mill Work/Plantation Shutters Thru-Out/Elegant Banquet Size Fireside Dining Room/Large Butler Pantry Room/Grand 2 Story Entry/Coffer Ceiling Fireside Great Room Flanked By Fluted Columns & Wall Of Windows To Large Deck/Opens To Vaulted Ceiling Beautiful Kitchen With Large Breakfast Bar/Solid Cherry Cabinetry/Sub-Zero Appliances/Gorgeous Palladium Windows/Large Walk In Pantry/Piano Room/Study/Grand Fireside Master On Main With Spa Bath/Separate Vanities/Finished Terrace W/Stacked Stone Fireplace Great Room/Bar MLS#6539811. Atlanta Communities. Barrett Greene - Gorgeous Move In Ready Home!Offering Open Floor Plan W/ Formal Dinning Room, Office/Library,2 Story Living Room,Large Kitchen W/ New Quartz Countertops/Top Of Line Appliances With A View Of A Stunning Landscaped Yard.New Paint,Master On Main With Granite In Master Bath,His/Her Vanity.Large Bedrooms Upstairs,2 Full Baths,Finished Basement,Perfect For Entertaining With Custom Built In Bar.Covered Deck Outback, Overlooking Breathtaking View W/2 Gas Fire Pits.New Blinds,Stone/Railing At Front Door,Fresh Paint On Exterior Trim,New Windows, Roof, Hvac & So Much More! MLS#6539758. Re/Max Integrity. Overlook At Marietta Country Club - Walk To Mt.Paran And Kennesaw Mt. MLS#6539289. Keller Williams Realty Signature Partners. Hamilton Country Estates - Situated Between The Main Floor And Terrace Level Contains Another Living Area With A 3rd Fireplace Which Overlooks The Scenic Wooded Backyard. Seller Welcomes All Offers! MLS#6539218. Bhgre Metro Brokers. Active Swim/Tennis Neighborhood In Sought After Harrison High School District. MLS#6539205. Keller Williams Realty Signature Partners. Arranmore - New Sidewalks Being Installed On Pine Mountain Rd & Community Has Some Of The Lowest Hoa Fees In The Area. MLS#6539297. Atlanta Communities. Heritage Club - The Master Bedroom Has Crafted Vaulted Ceilings And An Ensuite Master Bathroom Complete With A Walk-In Closet, Dual Sinks, A Private Toilet Area, A Tub, And Shower. MLS#6539519. Keller Williams Realty Signature Partners. Bristol Woods - Located Close To Restaurants, Shopping, And Great Schools. MLS#6539676. Keller Williams Realty Partners. Kennesborough - Fenced Back Yard - Outdoor Deck - Conveniently Located Close To Expressway, Shopping, Restaurants, Etc. MLS#6539666. Solid Source Realty, Inc.. This Is The Opportunity To Own A Large Wooded Lot In A Wonderful School Zone! MLS#6539750. Keller Williams Realty Northwest, Llc..
North Bells Ferry Landing - No Hoa- Does Need Tlc And Priced Lower To Reflect That. MLS#6539246. Keller Williams Realty Cityside.